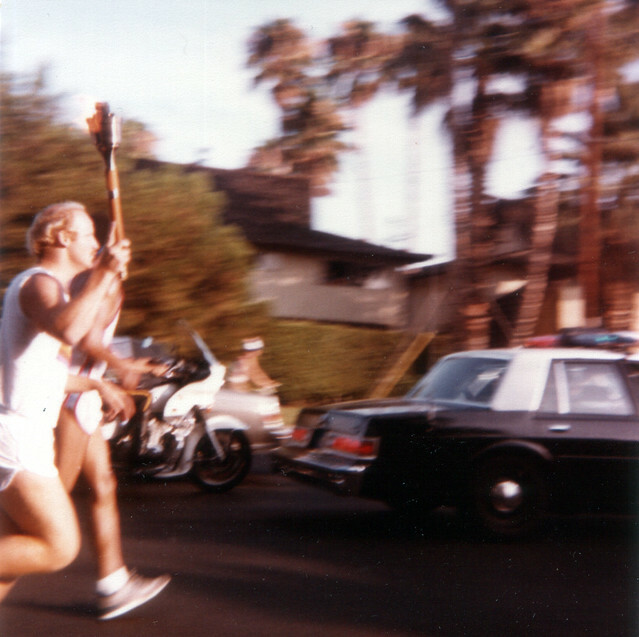 In 1984, the Olympic torch relay for the Los Angeles games ran down my street in Tustin, California. My family all went out to watch it, and at the age of 8 I took this photo with a Kodak Instamatic. It was the first time I successfully tracked the movement of a subject. This entry was posted in Highlights, Photos and tagged 1980s, 1984, California, Olympics, torch, Tustin on July 27, 2012 by Kelson. 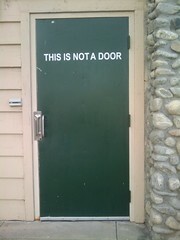 So, remember this photo of a door labeled “This is not a door?” Last year, someone else sent a picture of the same door to FAIL Blog. Then a week ago, someone submitted mine to Friends of Irony, where Katie spotted it a few days later. On both sites, people were absolutely convinced that it was “obviously” photoshopped. No, it’s real. It’s in a small business complex at the corner of Newport Ave. and Irvine Blvd. in Tustin, California. You can go there and look if you want. And of course there are the two photos taken from different angles. The obvious conclusion is that people don’t really know how to tell whether a photo has been manipulated. At least on FAIL Blog, some of the doubters had reasons, even though they amounted to not understanding perspective. I was tempted to post a comment linking to this XKCD strip (My hobby: insisting that real-life objects are photoshopped), but settled for requesting a photo credit instead. This entry was posted in Computers/Internet, Signs of the Times, You Must be Mistaken and tagged error, Fail, photomanipulation, Tustin, weird on June 6, 2010 by Kelson. Yesterday morning on my way to work, I looked over and saw the San Gabriel Mountains practically glowing with the morning light of the sun. A layer of cloud blocked the sun where I was, making the distant peaks look that much brighter. 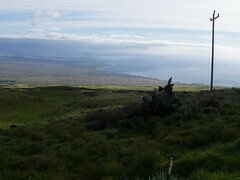 I stopped at a spot where I knew I’d have a good view of the mountain range. 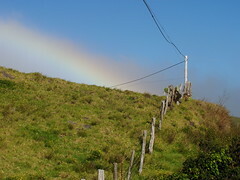 Since Canon’s PhotoStitch no longer works on Snow Leopard, I’ve tried out Hugin again. It’s come a long way since I first tried to use it and spent hours just getting a panorama to break up spectacularly and went hunting for PhotoStitch on the disc that came with the camera! I can’t get it to automatically detect control points on Fedora, but it does a surprisingly good job even when I’ve only marked around 10 or so. The ability to customize things like which pieces appear in front of others, or which projection to use, has turned out to be useful as well. 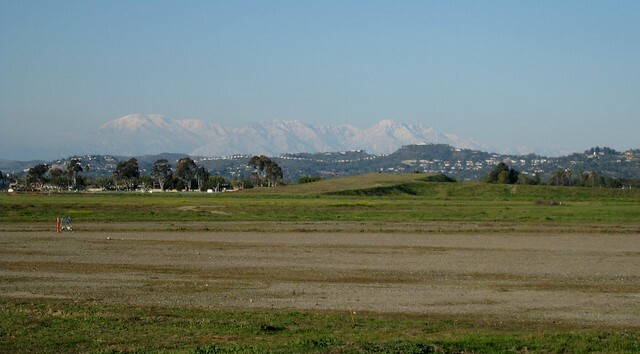 This entry was posted in Photos and tagged Mountains, Orange County, San Gabriels, snow, SoCal, Tustin on January 28, 2010 by Kelson. Obsolete, originally uploaded by Kelson. 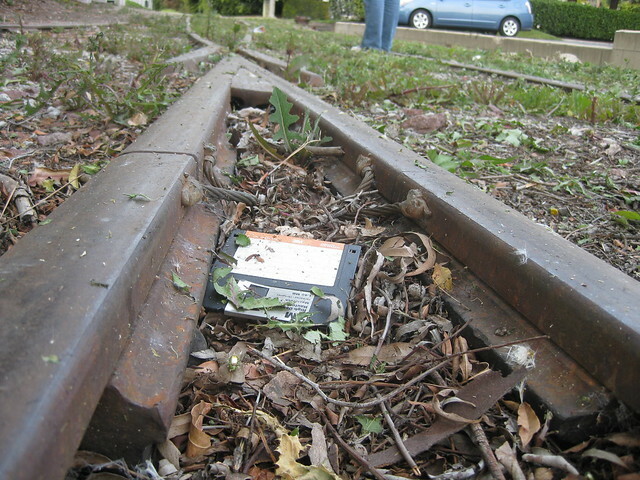 I found this 3.5″ floppy disk on the ground while exploring a section of disused railroad track running through an industrial park. Update (December 2010): These tracks have since been ripped out and paved over with concrete as a pedestrian walkway to the Tustin Metrolink station. 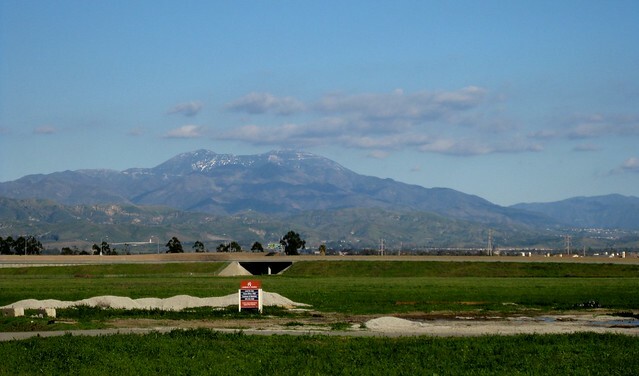 This entry was posted in Highlights, Photos, Strange World and tagged floppies, railroad, technology, Tustin on March 24, 2009 by Kelson.